Kasturi Institute of Management Hi-Tech Educational & Aviation Training Institute is having world-class infrastructure to support all students to shape their career. The institute is strategically located at a prominent location on Civil Aerodrome Road, Coimbatore and is well connected with all modes of transport. We facilitate each student with modern facilities and amenities to make them feel comfortable while learning at our campus. 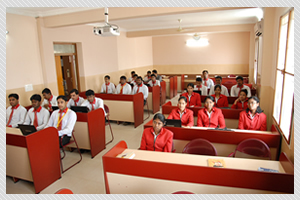 The course structure and curriculum at KIMS ensures overall development of every student. Kasturi Institute of Management provides hostel facilities for boys and girls separately, with decent standard of living. 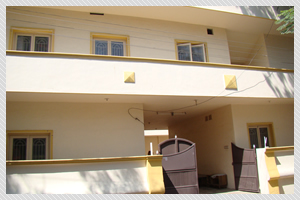 Our hostels are coupled with scenic views in a serene atmosphere and security surveillance. Equipped with all necessary facilities including spacious rooms, gracious amenities, hygienic food and purified drinking water, our hostels gives students home away from home experience. 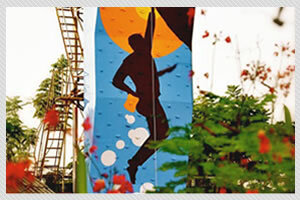 We will provide the assistance for students those who request for specific type of accommodation. Students interested in admission to the hostel will have to apply immediately after confirming their admissions. Kasturi Institute of Management encourages sporting and recreational activities to promote the physical and health well being of students. 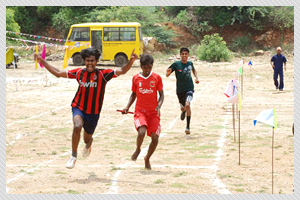 The College provides off-campus facilities for a number of outdoor games like cricket, football, volleyball, etc. A vast sports outfield of Kasturi Institute of Management offers excellent opportunity for the students to cheer up, have a relaxed outing and simultaneously play sports and games for their physical growth. 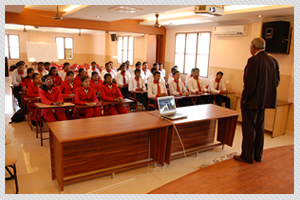 Special emphasis is given to grooming students through Personality Development programmes and regular soft skills training programs that are being imparted by our trained facilitators to inculcate the practical skills of communication through group discussion sessions, presentations, mock meetings and mock interviews that enable the students to compete both at national and international levels. Besides all the above mentioned facilities, we also have a plan to set up a Swimming Pool for the students in the near future fortified with fresh water, filters, chlorination treatment and other additional facilities in order to serve their swimming needs.